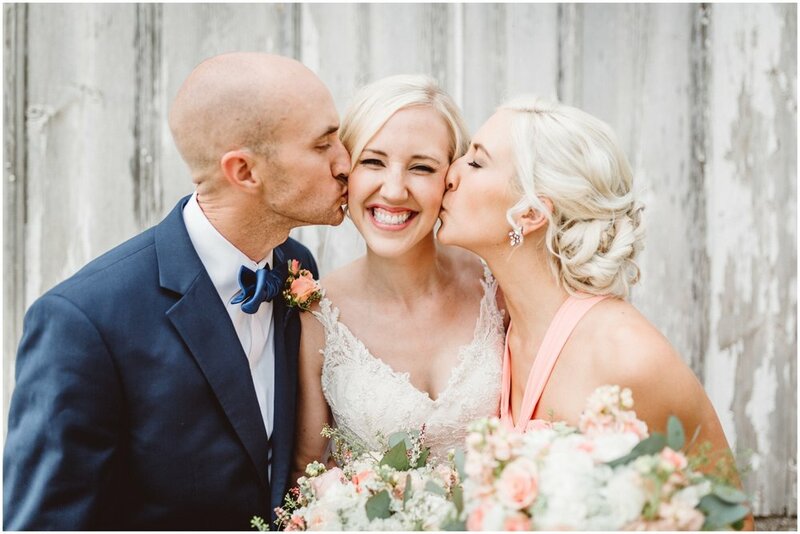 We were thrilled when Ally & Justin's Legacy Hill Farm wedding was featured on MN Bride. 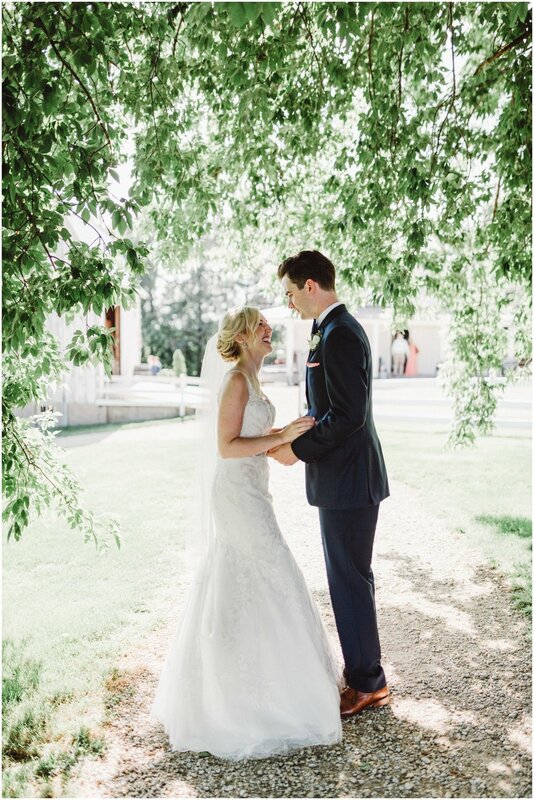 We loved working with this couple and their wedding was oh so lovely! They had so many wonderful details and the ambiance of the day was romantic, chic and picturesque. Having perfect weather didn't hurt either! The origami cranes you see pictured were a surprise gift from Justin to Ally. He and the groomsmen crafted them the morning of the wedding and filled Ally's suite with them. What a romantic gesture, right?! 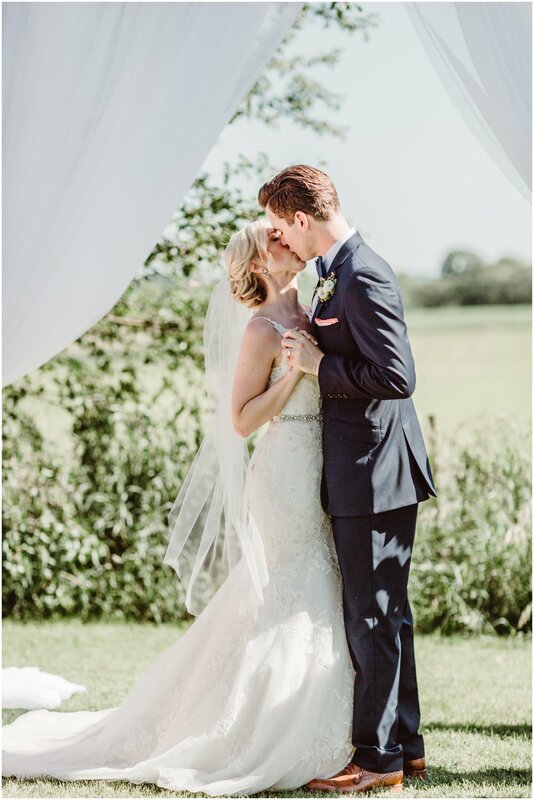 Ally wore a stunning fit and flare lace wedding gown. It was elegant and timeless, just like her! 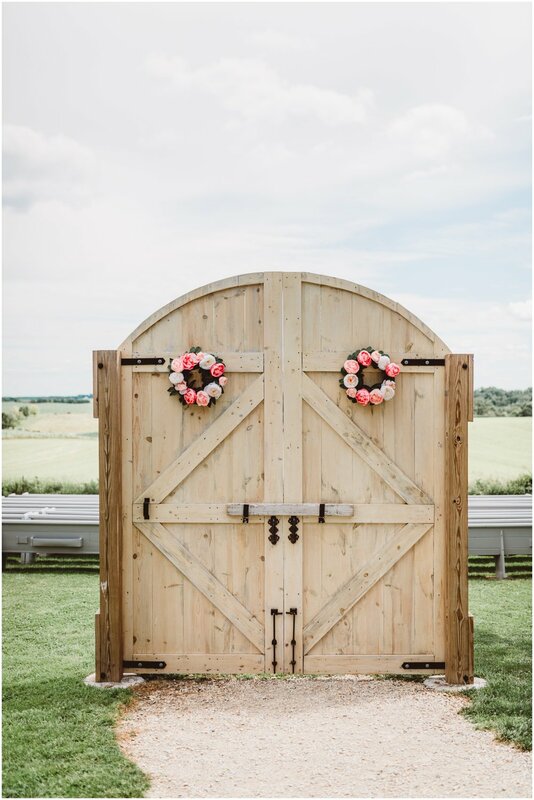 Following the ceremony, they took photos around the property- including Legacy Hill Farm's the love locks fence (a nod to both the farm's French country ambiance)- Although Paris no longer padlocks from the Pont des Arts bridge, it is such a sweet tradition and we love that you can do it right here in Minnesota! 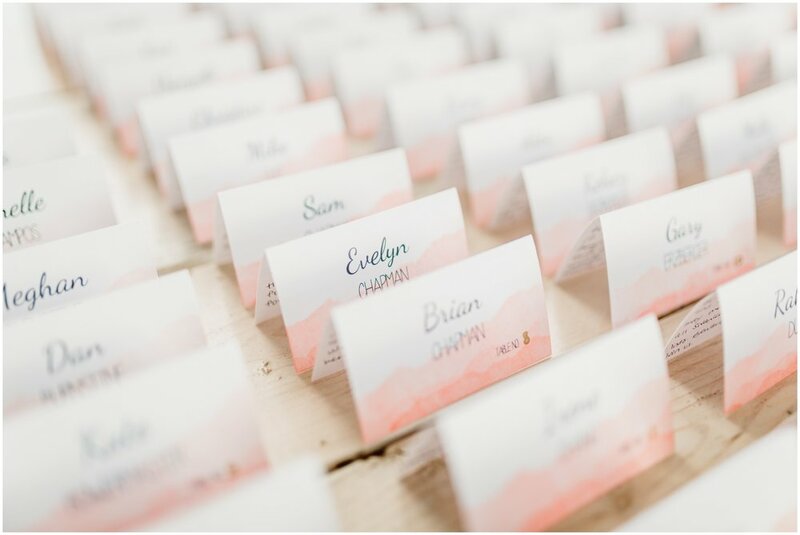 The couple opted for minimal decor in the Pavillion - reserving the "statement" decor for their head table. They added gorgeous red velvet vintage chairs that really WOWed against the rustic, industrial backdrop. Their first dance was one of our all-time favorites- simply because of they way they held each other and gazed so lovingly at one another. The moment was amazing and then seeing the photos took our breath away. We just fell so in love with them all over again -the power of a fantastic photographer with an awesome couple can't be denied! 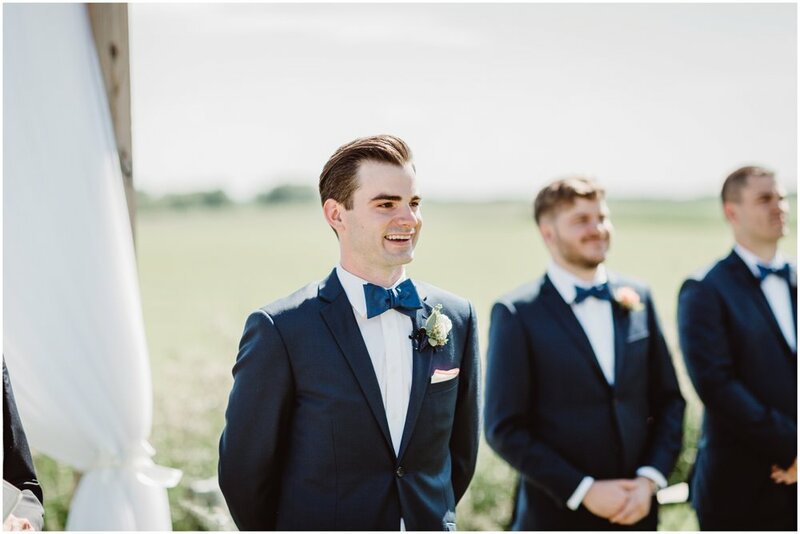 We hope you enjoy their big day as much as we did!